At Aspire we offer CoolSculpting, the only FDA cleared cryolipolysis treatment that effectively removes diet and exercise resistant fat. With over 7 million treatments performed worldwide, not only is it safe, but it has been scientifically proven to work! Our clinic is ideally located in Reading, Berkshire just off the M4. The idea that cold can selectively effect fat led to the innovative cooling process developed by scientists at the Wellman Center for Photomedicine in Boston, a teaching affiliate of Harvard Medical School. Fat cells freeze at higher temperatures than surrounding tissues. 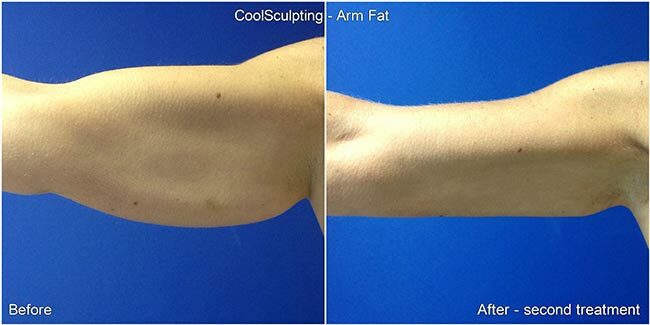 CoolSculpting delivers precisely controlled cooling to gently target and remove the fat cells underneath the skin. These fat cells and crystallised and then die, overtime your body will naturally process and remove these dead fat cells. At Aspire we develop a tailored CoolSculpting treatment plan that will target your problem areas. Sit back, relax and say goodbye to stubborn fat. 3. Typically you can return to work and normal activities immediately after the treatment. Will my fat come back? Unlike other cells in the body, fat cells do not die off and regenerate on a regular basis. By adolescence, we each have the number of fat cells that we will maintain throughout our life. These fat cells may expand or contract as we put on, or lose weight, but the number of cells does not change. Therefore, if an area is particularly prone to putting on weight (such as our stomach area, or flanks for instance), then diet or exercise alone is not going to be able to reduce the number of fat cells in that area. CoolSculpting destroys around 25% of fat cells in the targeted area, meaning that even if you put on weight in the future, any weight gain will be evenly spread over your body and not concentrated in the problem area.